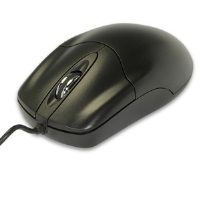 This iMouse E9 left-handed vertical ergonomic mouse is designed with a vertical orientation and a contoured shape that provides a uniquely comfortable user experience. Designed specifically for left-handers, this wrist-friendly contour support, you will hold your hand in a healthy handshake position which is the neutral position of your forearm. 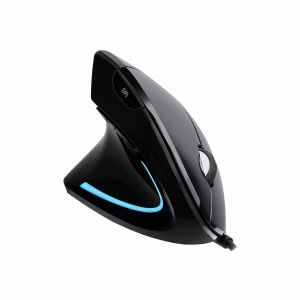 This feature prevents your forearm from twisting when using this vertical ergonomic mouse. 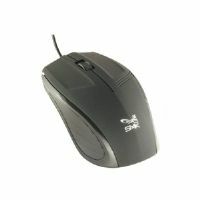 It features two ergonomic buttons that are located conveniently on the side of the mouse allowing seamless back and forth browsing. The switchable DPI control provides four levels of mouse cursor speed that works in different environments. The advanced optical sensor technology keeps the mouse precisely on point and lets you work on most glass, wood, marble and leather surfaces without a mouse pad.